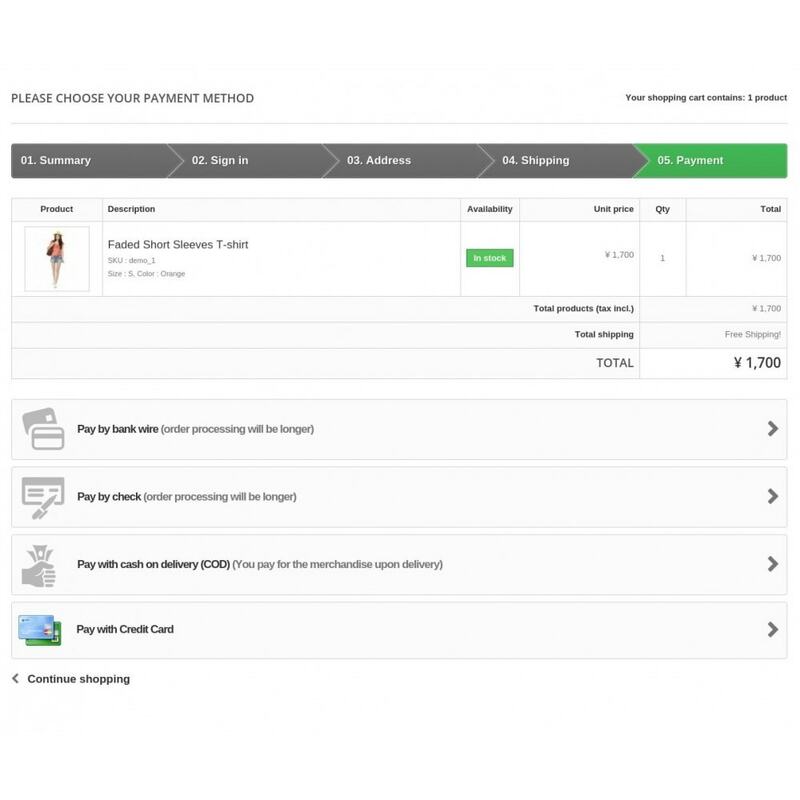 The module integrates the Credit Card processing provider Paygent by DeNA Japan into your Prestashop check out. You will be able to take credit card transactions within Japan through your business Bank account. Allows you to process Credit Card transactions in Japan (only). The Available card issuers are: Visa, Mastercard, American Express and JCB. An account and Merchant ID is required from Paygent and can be entered directly into the module administration area. 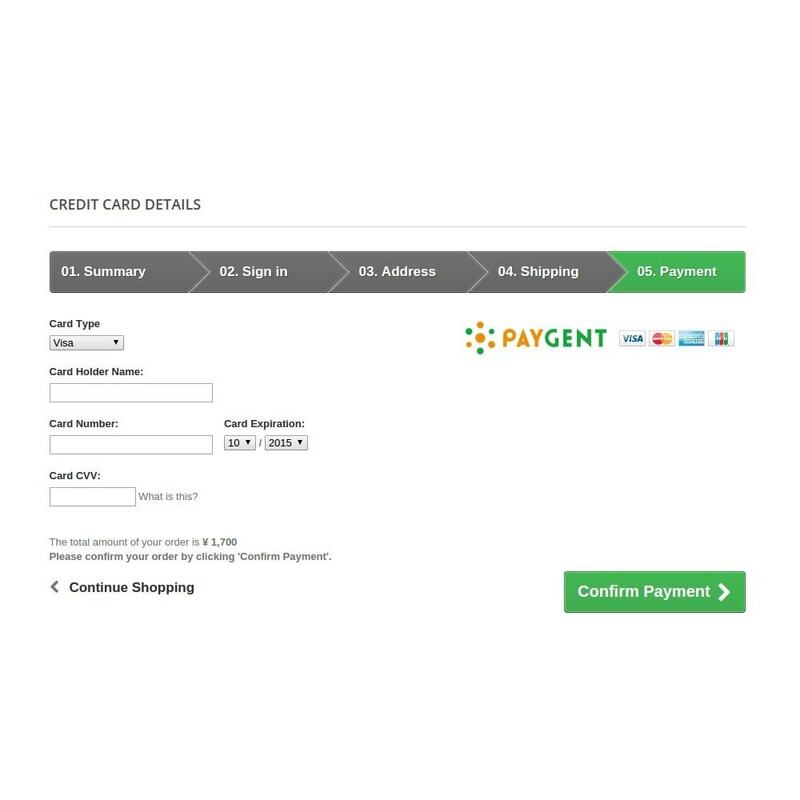 Management of the Paygent account details can be done in the admin back-end page to automatically save the given settings and use the Paygent PHP connection module for Credit Card transactions. Orders made through this module are marked as such, and list any Paygent-specific transaction details in the Prestashop order details admin screen. Your customers in Japan will be able to pay by Credit Card easily and smoothly, with full support of the four major Credit Card types in Japan (Visa, Mastercard, American Express and JCB). 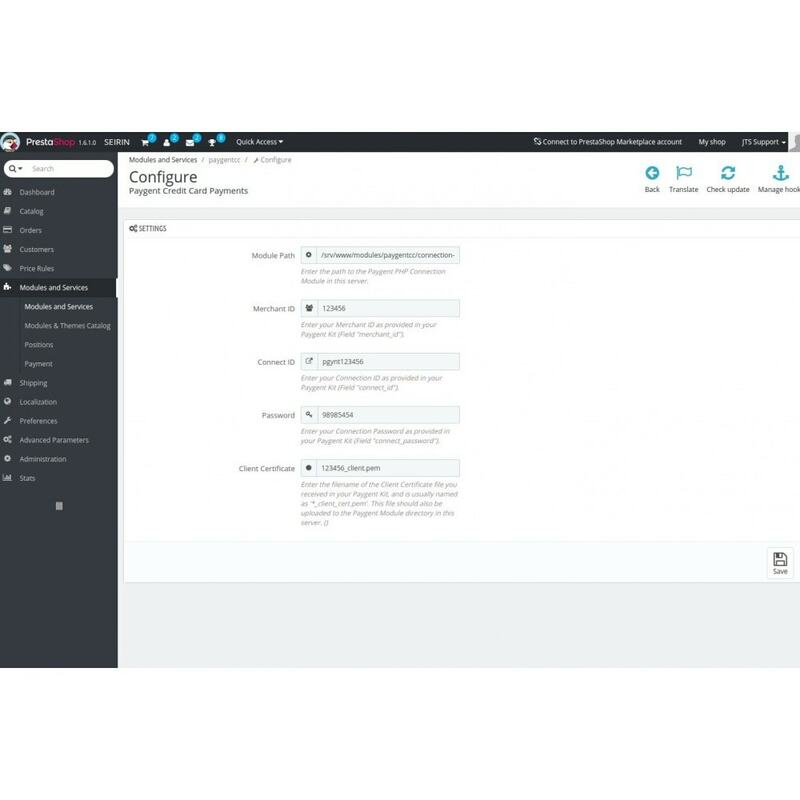 Before the module will work you will need to receive your connection kit files and certificate from Paygent. This is usually sent to your business address on a CD. You will need to ask Paygent to set your account to Live processing. This can take up to 5 days to change to the Live environment. You will need to ask Paygent to whitelist the IP address of your server. If this changes at a later date, you will need to notify Paygent of the change. The module can be installed from the back-end admin in the modules area. Once installed and enabled, you then need to enter your Paygent account details (merchant ID, connection ID, and password) and upload your certificate (the .pem connection certificate file) as provided by Paygent in the connection kit. Once entered your module will immediately be operational work on your checkout process under "Payment by Credit Card".